Whether because of a shift in mindset or the significant financial strain on buying a house as an individual, it has become increasingly common in recent years for unmarried couples to jointly buy property. Many will tell cautionary tales about doing so, however, this should not necessarily put people off. For married couples, the marital regime will determine how ownership of immoveable property is dealt with. The marriage contract (and the antenuptial contract, where applicable) will then regulate how property is owned and divided between the spouses. Typically, this will be referred to upon the dissolution of the marriage, whether due to death or divorce. Because, for an unmarried couple, there is no existing contract to regulate this joint ownership, unmarried couples will be considered co-owners of the property and entitled to undivided shares of the property in the percentage stated (or in equal shares if no percentage is specified). To help ensure a smoother home loan application process, it is beneficial for the couple to keep a detailed record of their finances, and making use of a good finance calculator can also be useful in this regard. Homeowners insurance and life insurance are typically requirements for obtaining finance from a financial institution, and this is no different whether or not the couple is married. However, depending on the marital regime selected, it is possible that only one spouse in a marriage would need life insurance, but because an unmarried couple each own an undivided share in the property – and therefore individually share in the liability – both would typically require life insurance before being able to obtain a bond. The same will go for the documents required in order to buy the property. Both individuals would need to supply the requisite documentation for a property buyer, including FICA documentation (proof of ID, residence and tax reference number), as each is dealt with individually. As with any large investment, there are risks involved that need to be considered at the outset in order to prevent, as far as possible, any negative outcomes. 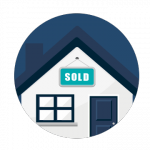 The major risks when it comes to jointly buying property outside of a marriage relate to when only one person’s name is listed as the owner and where there are disagreements regarding the later sale of the property. In the first case, the issue often arises where the property is registered in one party’s name, but both parties are contributing to the loan. Should the relationship break down, only the person whose name reflects in the Deeds Office has any legal rights to the property and there is the risk of disputes around the ownership of this property. By the same token, the registered owner will be the only person liable to settle the bond when selling. In the second scenario, the co-owners may find themselves disagreeing on whether or not to sell the property at a later stage, or even on the sale price. If this disagreement cannot be resolved privately, it could result in the need for mediation – or in the worst cases, court orders – in order to resolve the matter. It is impossible to predict the future, but the key to having the best chance of successful co-ownership is in fleshing out the details to the agreement and putting these into writing in a property co-ownership agreement. In this way, all parties understand and agree to how the property is to be owned and managed, and what the consequences and remedies will be in certain scenarios. Both risks mentioned above can be mitigated through a clear agreement that protects the interests of both parties, and consulting with a legal professional to assist in putting this contract together prior to the purchase can go a long way to ensuring successful joint ownership.